NW25 - 5.5m³/h / 1"NW32 - 6.5m³/h / 1 ¼"NW25 DUO - 0.5m³/h / ¾" or 1"NW25TE - 0.5m³/h / 1''NW32TE - 0.5m³/h / 1 ¼"
Cintropur offers a wide range of mechanical filters designed for filtering clear and slightly contaminated water. There are seven products in the Cintropur range of Domestic Filters, three offering standard filtration and four for water treatment and are capable of serving flow rates from 0 up to 6.5 m³/h, the domestic range consists of NW18 filter, NW25 filter and NW32 filter. Basic principle filtering out solid particles (earth, sand, rust, etc,) suspended in the water. Possibility of combining mechanical filter + UV and activated carbon with DUO, TIO® (Two in one) TIO®+UV. 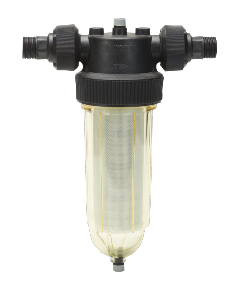 Cintropur domestic water filters are fitted with a 25 micron filter sleeve as standard issue, a system of interchangeable and disposable sleeves offer filtration at 1, 5, 10, 25, 50 and 100 micron. A 150 micron nylon (washable) sleeve is also available for the NW 25 and NW 32 models. Bowl transparency enables visual inspection of impurity deposits. Recommended replacement of filters at least twice a year for drinking water. Filter sleeves come in a flat pack of 5 and are easy to post. 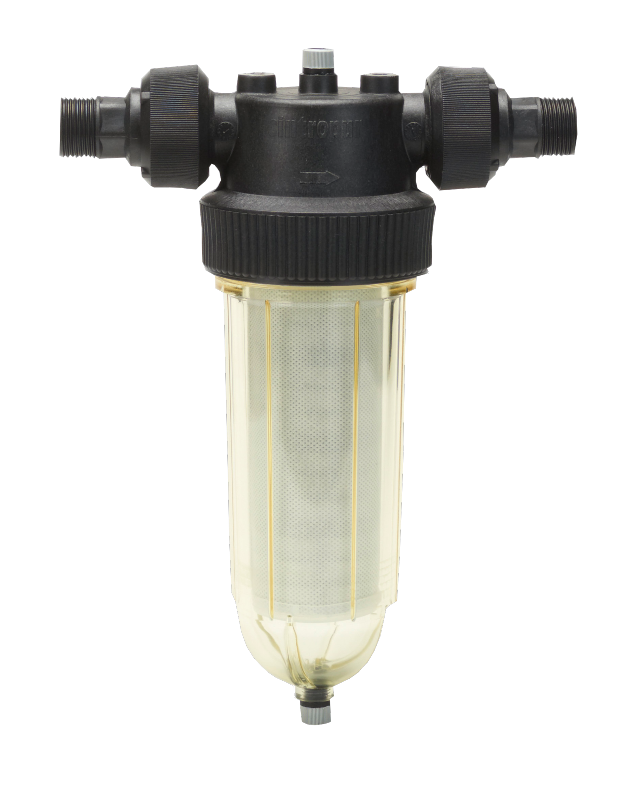 3) Range of Connections: from ¾" to 1¼:"
Bowl transparency facilitates visual inspection of impurity deposits. At the base of the bowl a purging screw allows evacuation of the largest particles. Filters are supplied with a dismounting key.